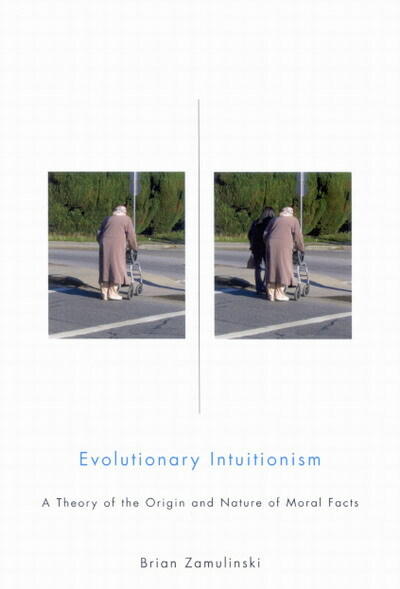 Evolutionary Intuitionism: A Theory of the Origin and Nature of Moral Facts, McGill-Queen's University Press, 2007. "Hypocrisy and the Nature of Belief," Ratio 28(2) 2015, 175-189. "Rehabilitating the Declaratory Theory of the Common Law," Journal of Law and Courts 2(1) (2014), 171-186. "The Cliffordian Virtue," European Journal for Philosophy of Religion 5(3) (2013) 159-176﻿. "William James did not annihilate the 'evidence daleks'," guardian.co.uk, (19 November 2010), http://www.guardian.co.uk/commentisfree/belief/2010/nov/19/william-james-evidence-daleks-faith? "God, Evil, and Evolution," European Journal for Philosophy of Religion, 2(2) (2010), 201-217. "The Good Samaritan Problem," National Catholic Bioethics Quarterly (Spring 2010): 11-13. "Reconciling Reason and Religion: A Response to Peels," Religious Studies 46 (2010): 109-113. "Christianity and the Ethics of Belief," Religious Studies 44 (2008): 333-46. “How Libertarianism Opposes Coercive Capitalism,” Dialogue 47 (2008): 137-40. “Morality and the Foundations of Practical Reason,” Reason Papers, 29 (2007): 7-17. “Nozick’s Anachronistic Libertarianism,” Dialogue 44 (2005), pp. 211-223. “Rejoinder to Scott,” Religious Studies 41 (2005), pp. 225-229. “A Defense of the Ethics of Belief,” Philo 7 (2004), pp. 79-96. “A Reply to Mawson,” Religious Studies 40 (2004), pp. 365-366. “Religion and the Pursuit of Truth,” Religious Studies 39 (2003), pp. 43-60. “A Re-evaluation of Clifford and His Critics,” The Southern Journal of Philosophy 40 (2002), pp. 437-457. “Aquinas’s Theory of Natural Law in the Light of Evolution,” Philo 4 (2001), pp. 21-37.